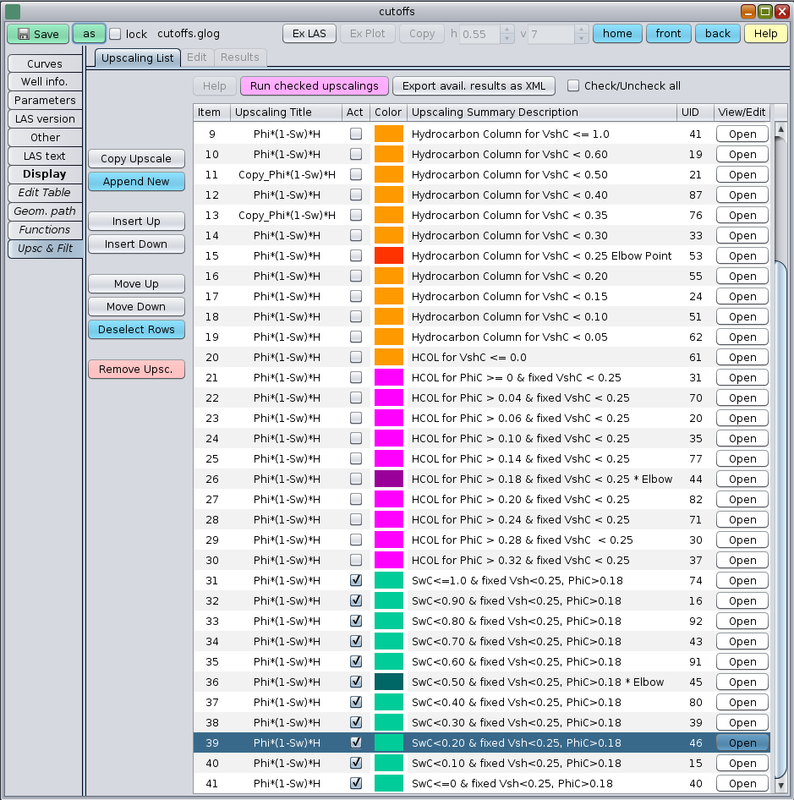 "I have uploaded tons of LAS files... 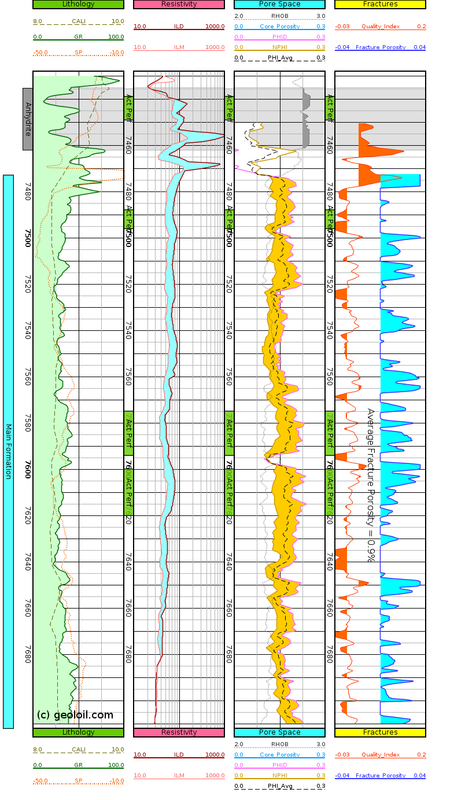 It is easy to learn the basics and display the data in a visually impactful way"
Michael Putnam. 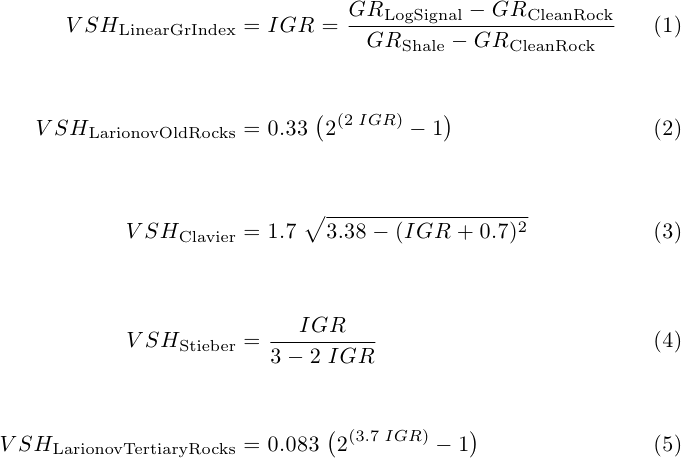 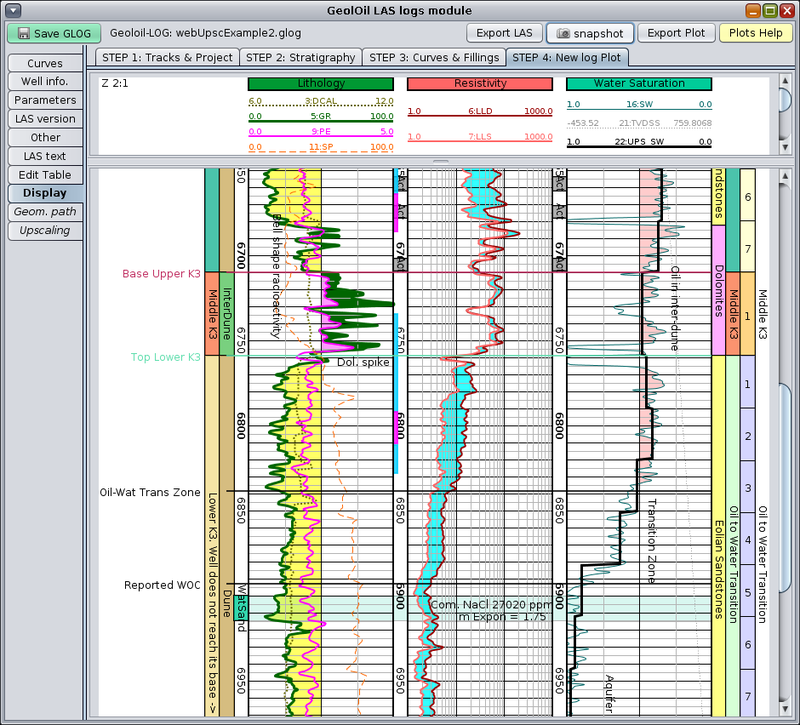 Independent Geoscientist. 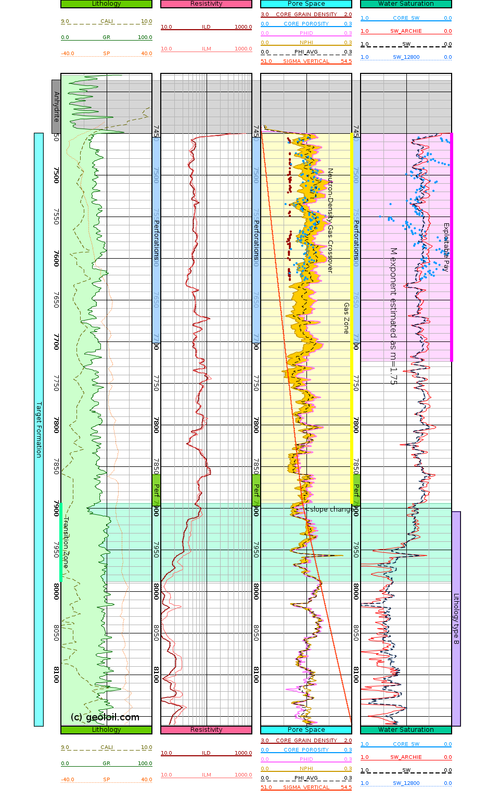 Texas, USA. 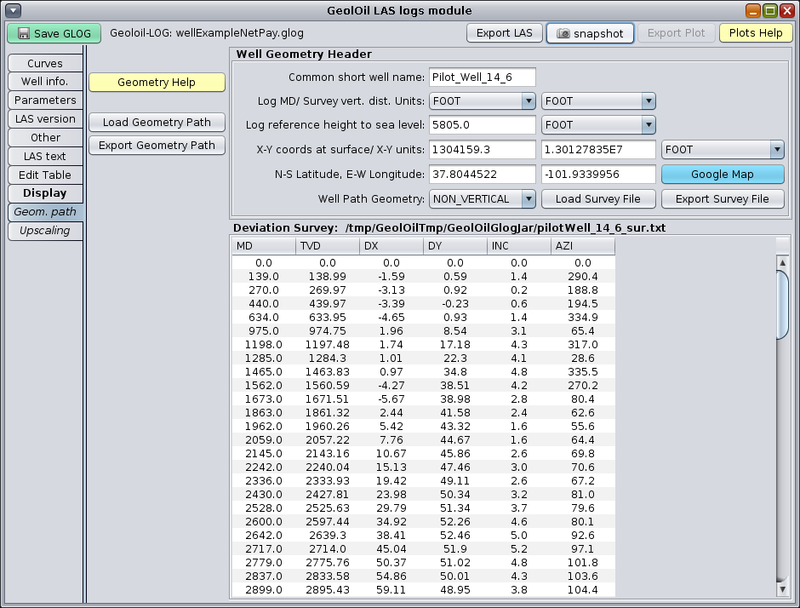 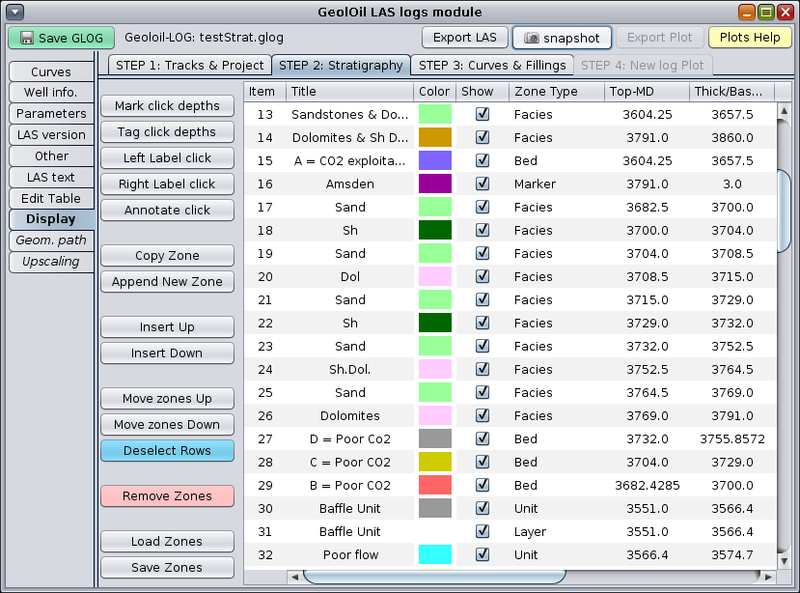 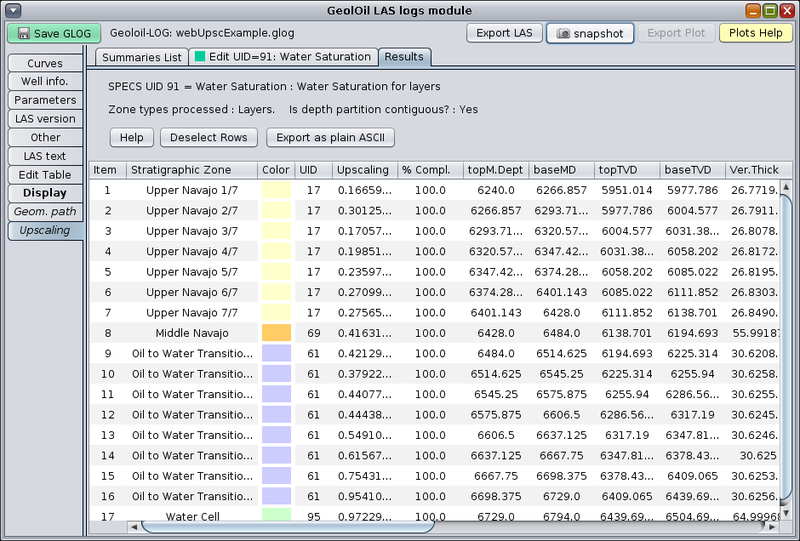 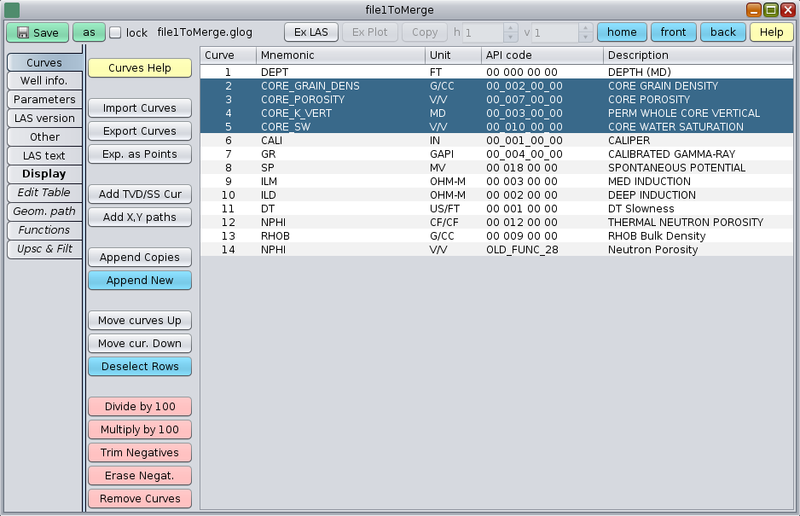 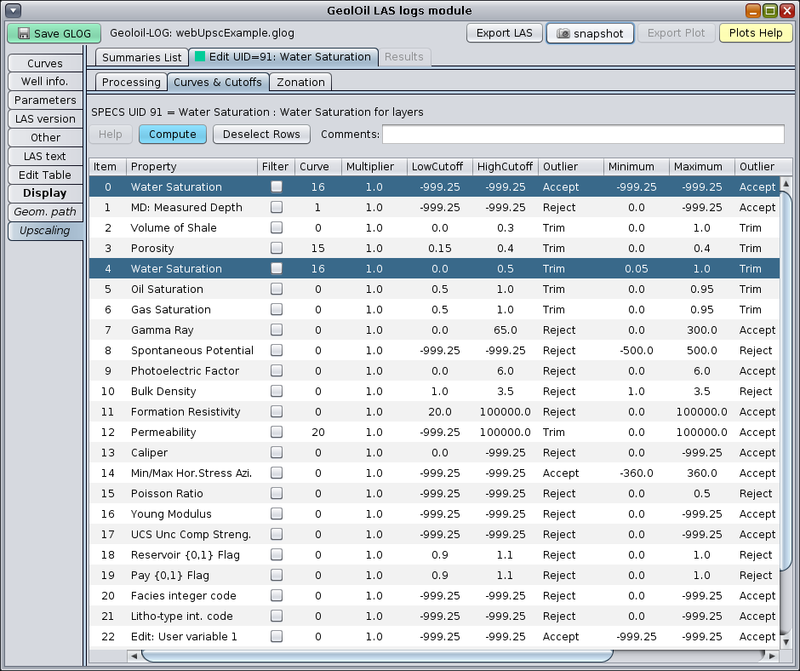 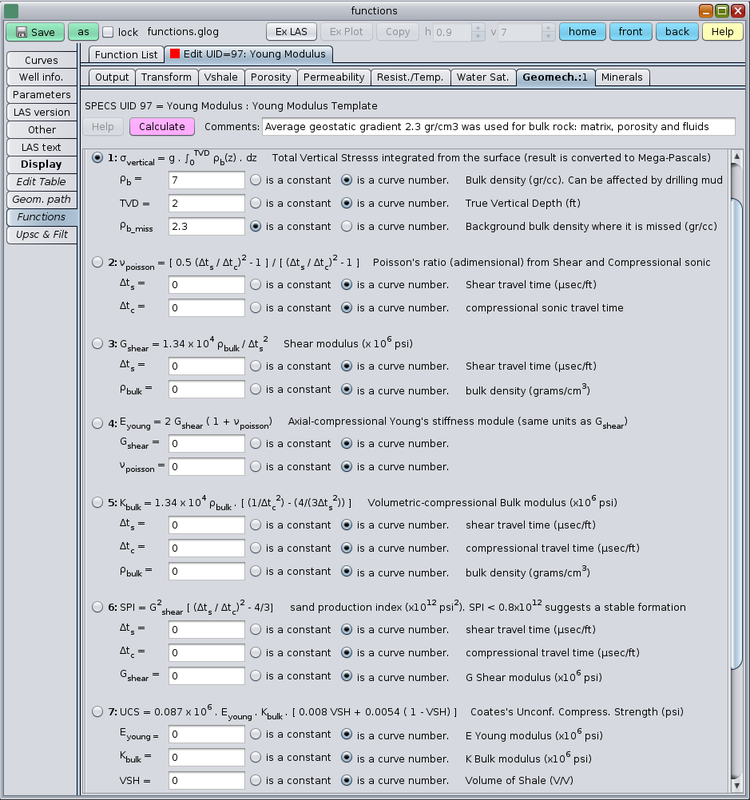 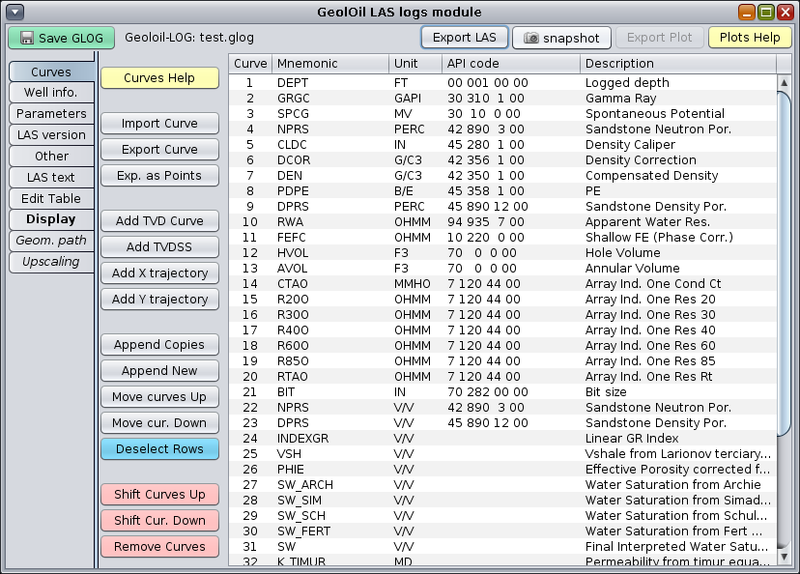 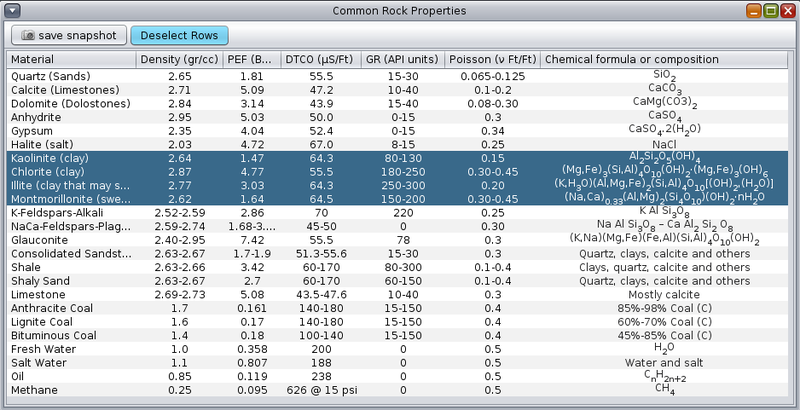 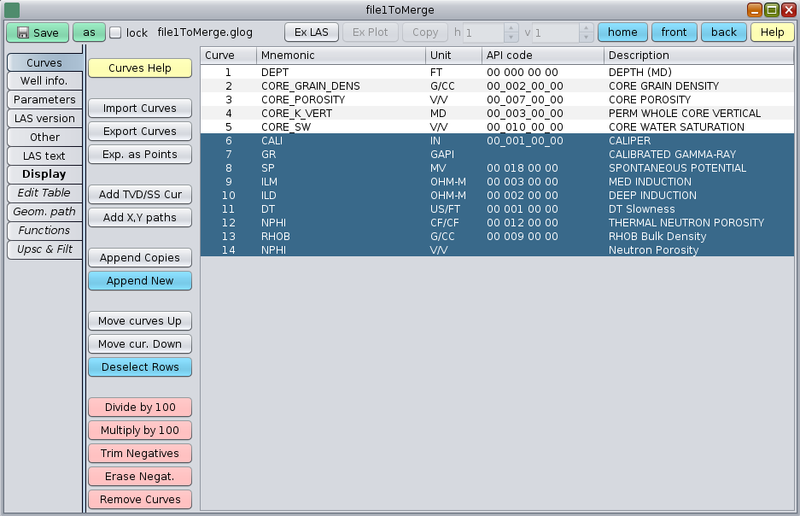 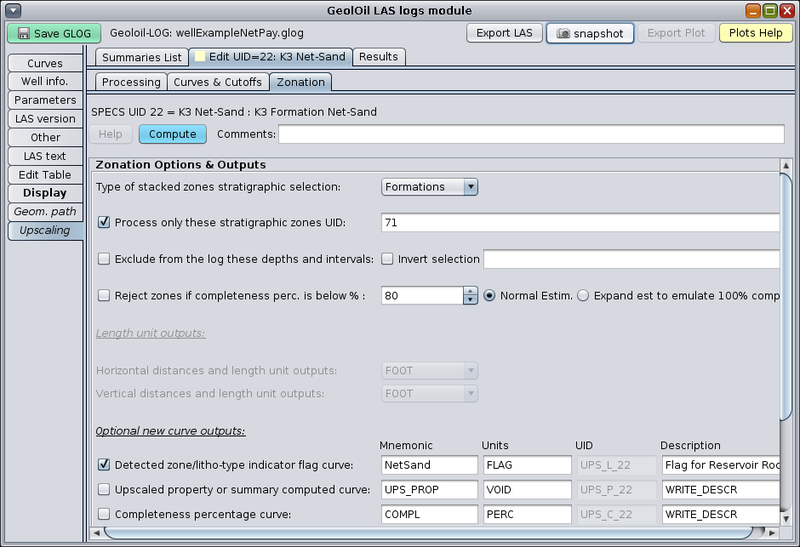 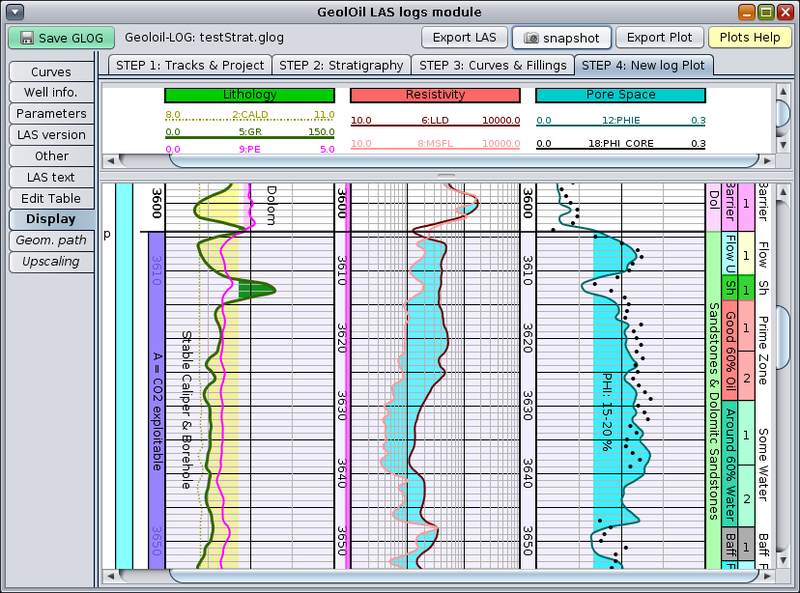 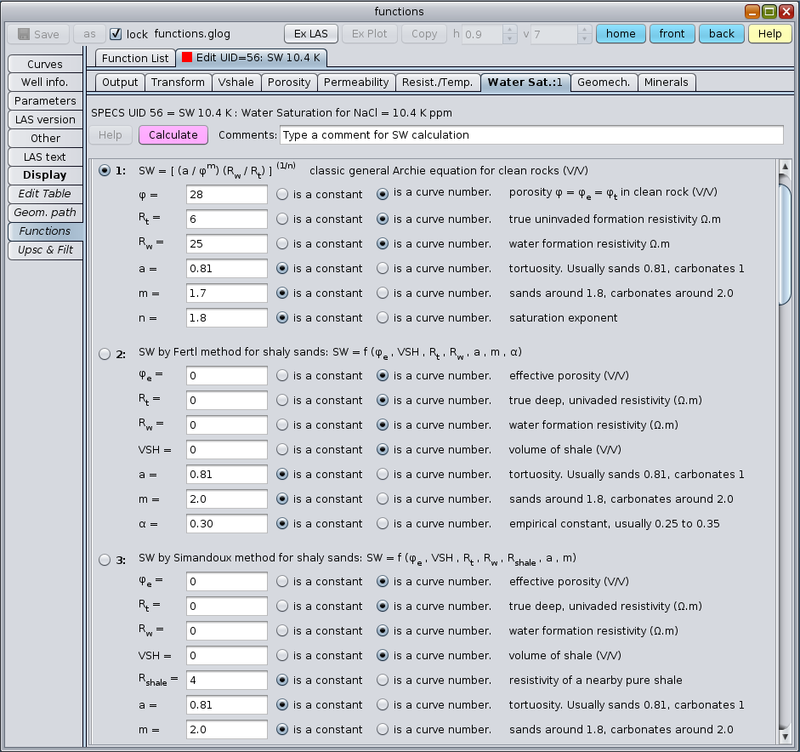 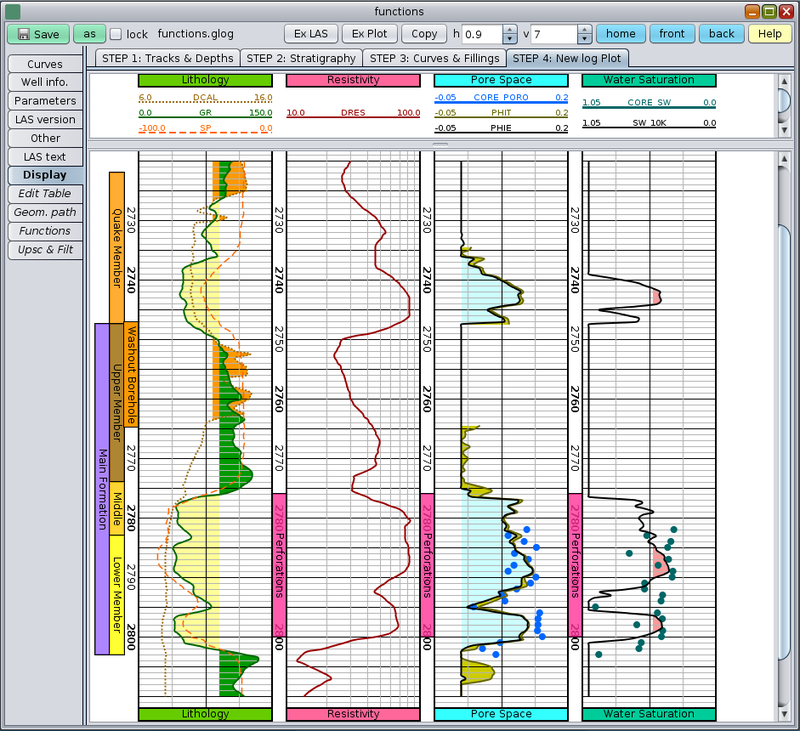 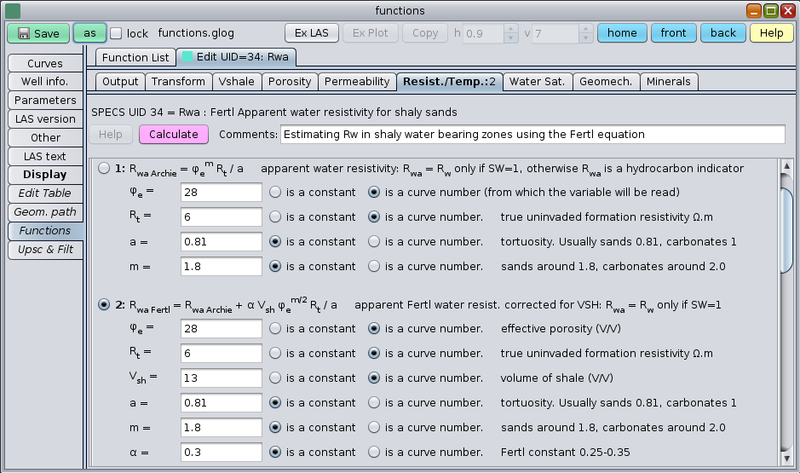 The figure below shows the STEP-1 GeolOil tab to select tracks and curves to be displayed. 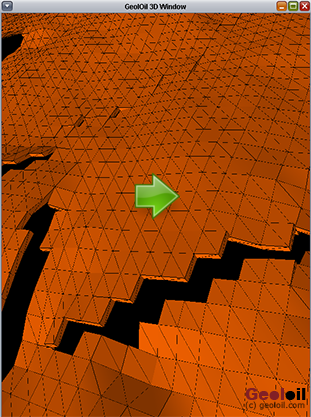 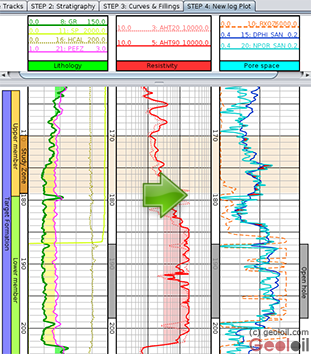 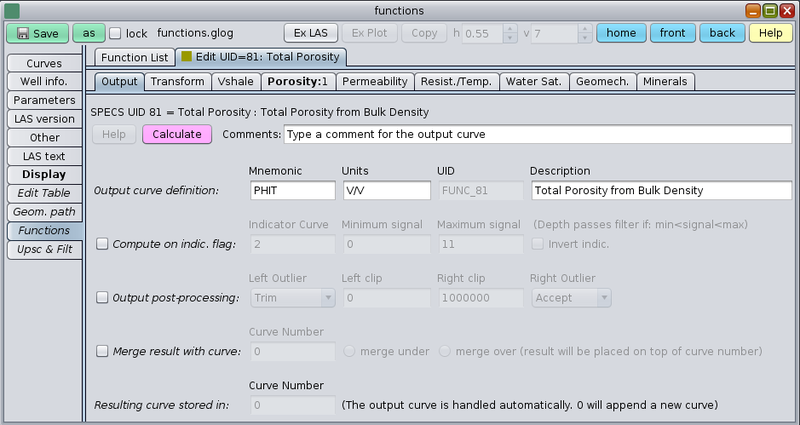 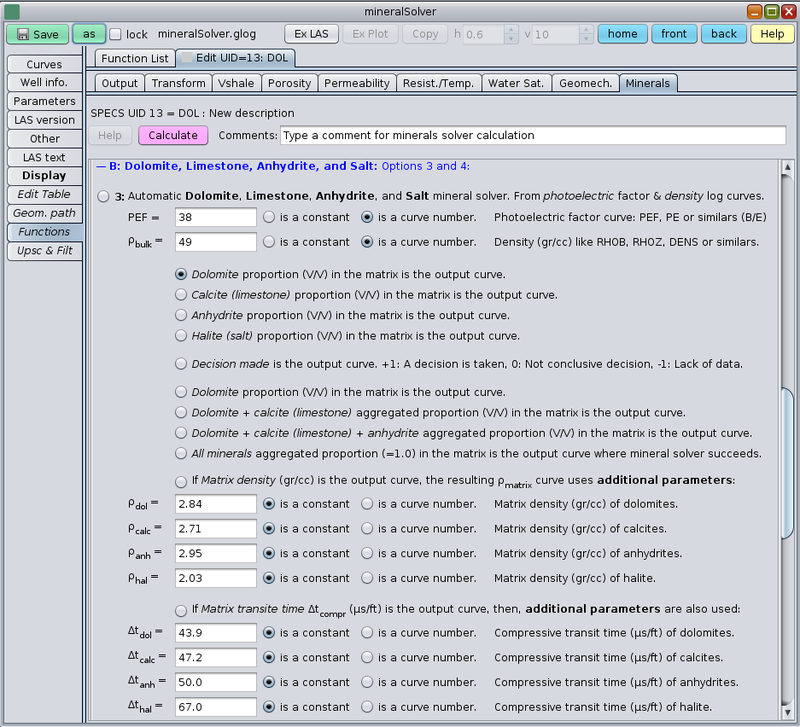 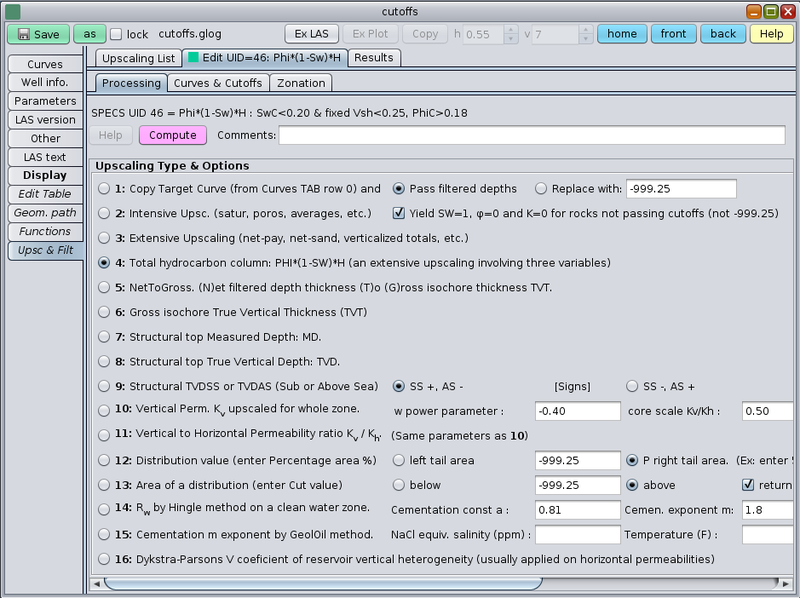 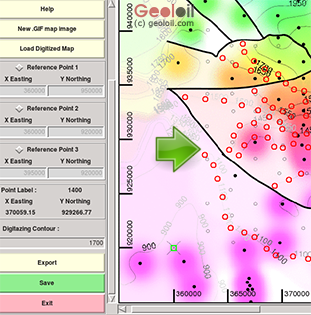 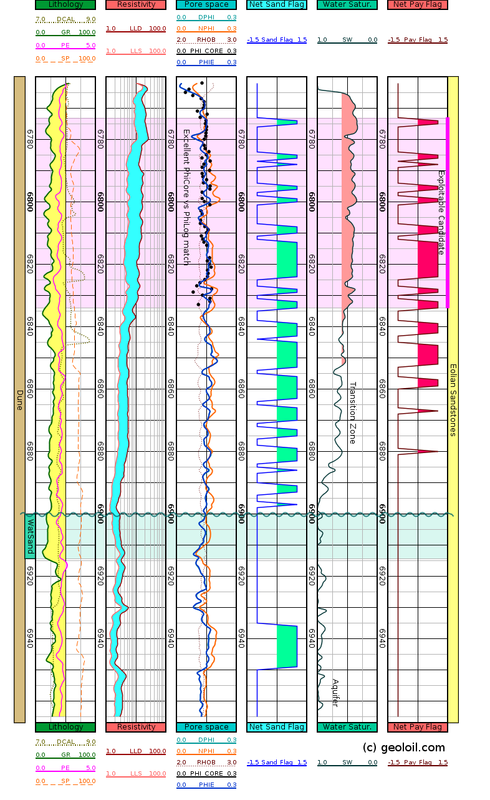 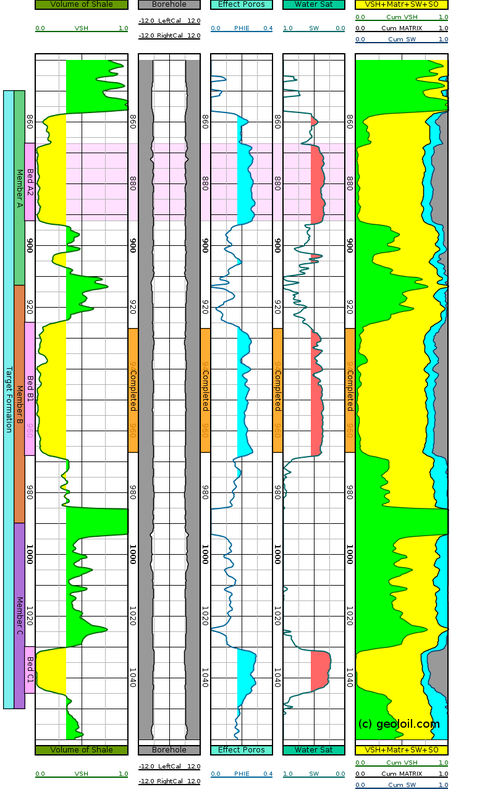 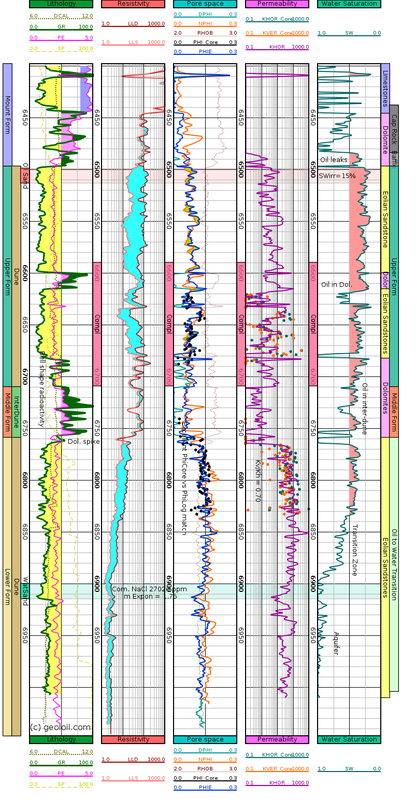 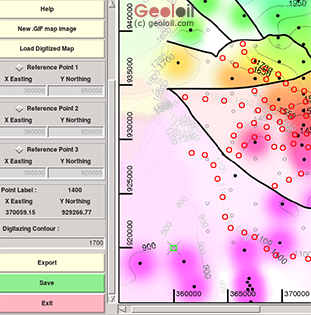 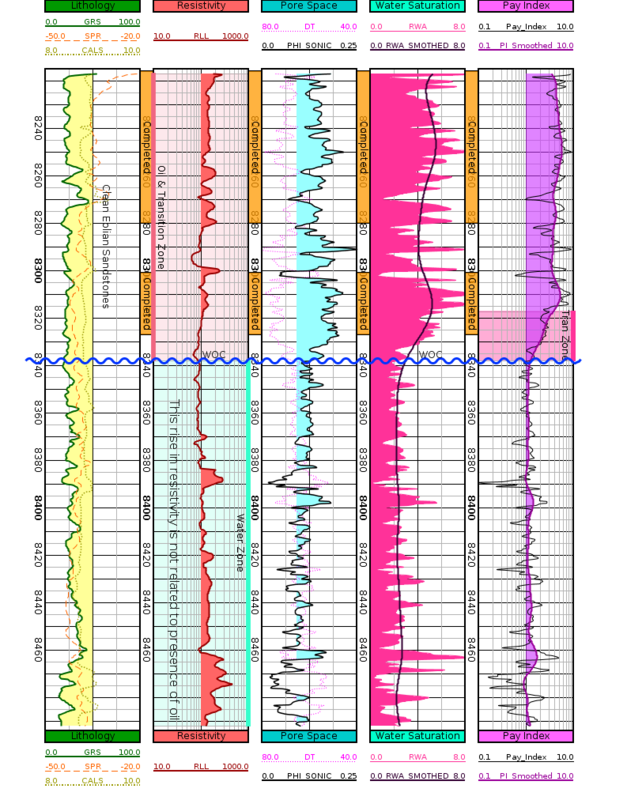 Define tracks, log scale cycles, select curves for display, colors, strokes, curve fillings, and crossovers between curves. 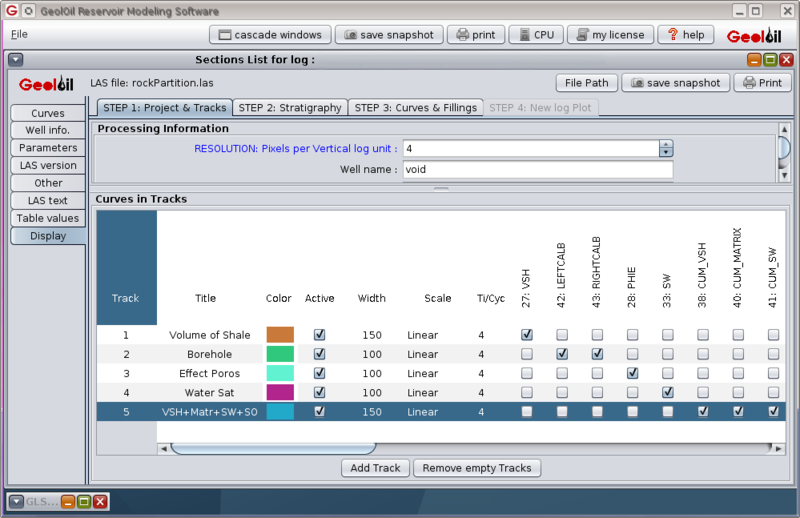 Write text annonations on the log pane. 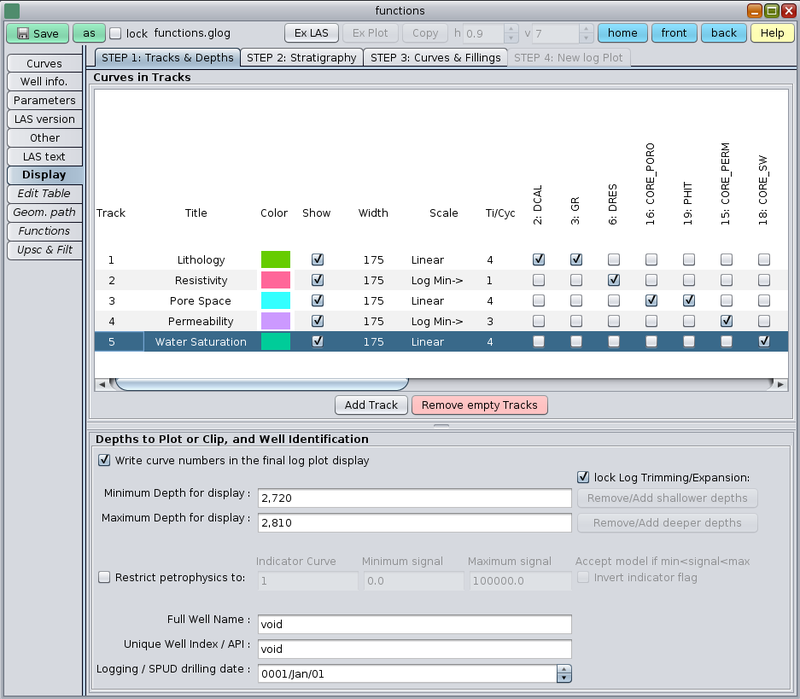 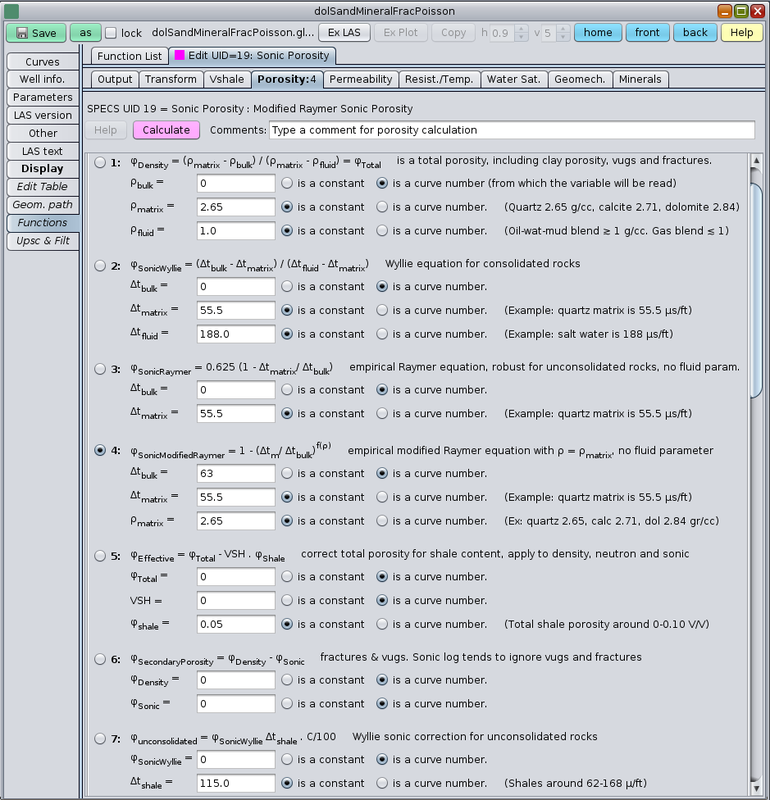 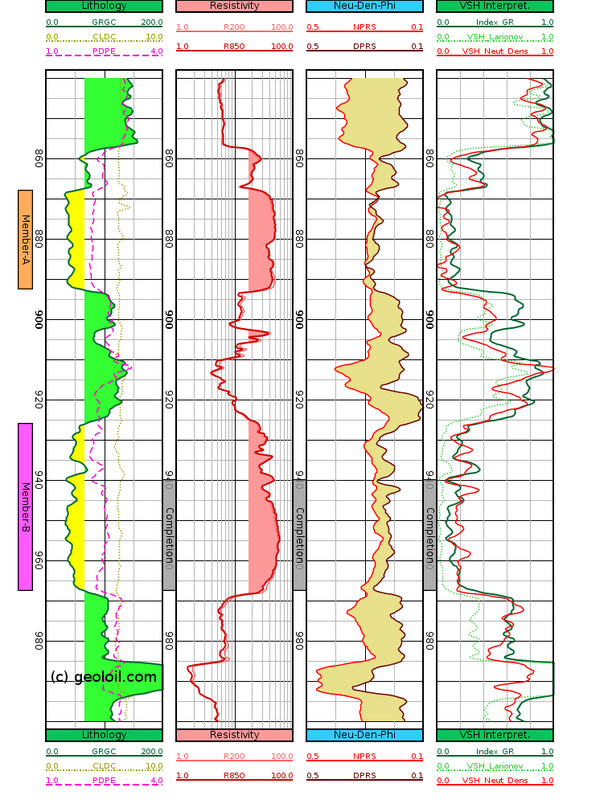 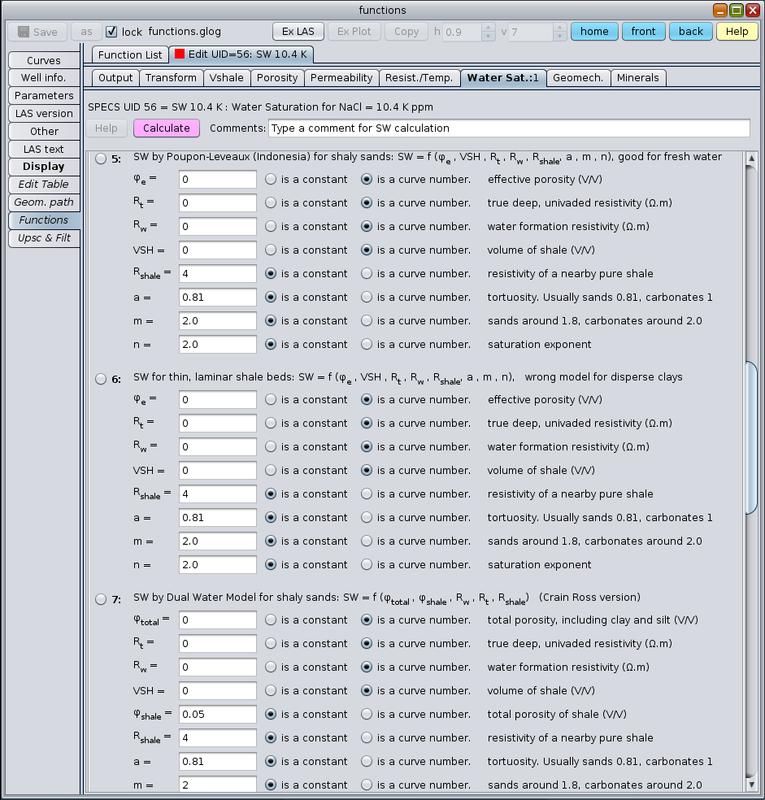 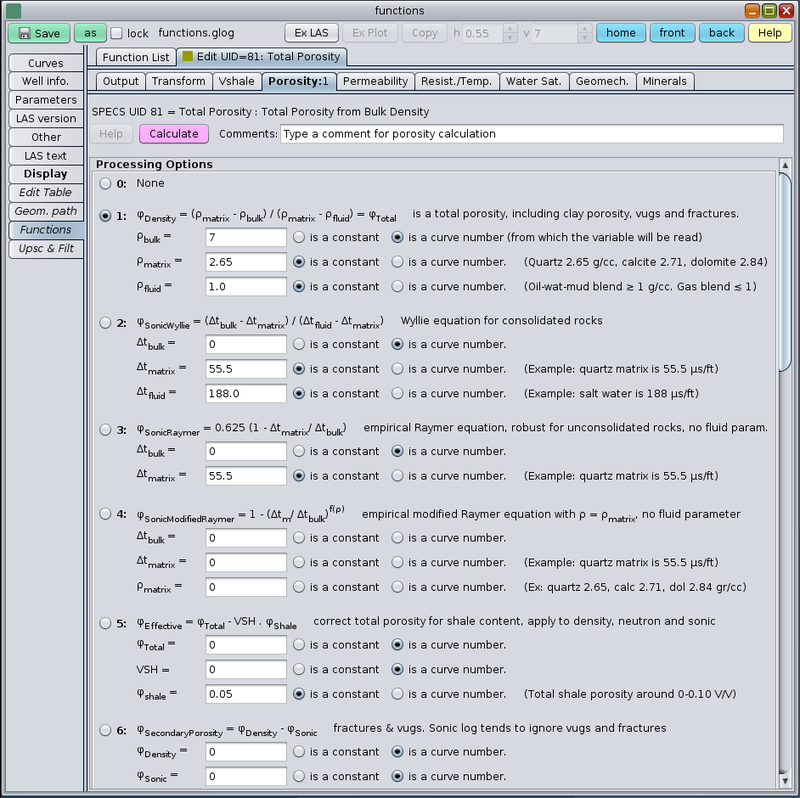 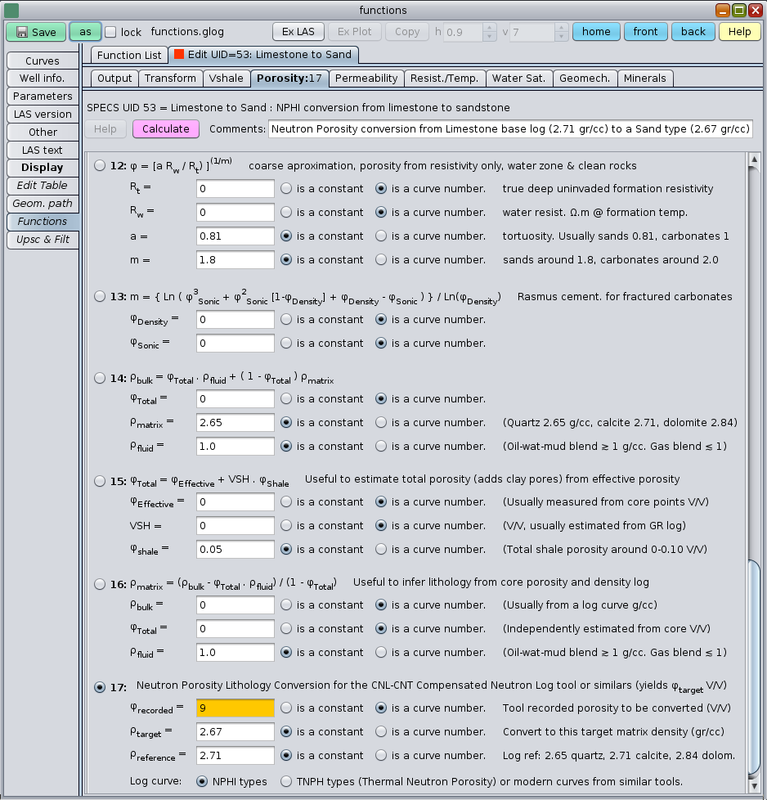 Idependently control vertical and horizontal log zooms. 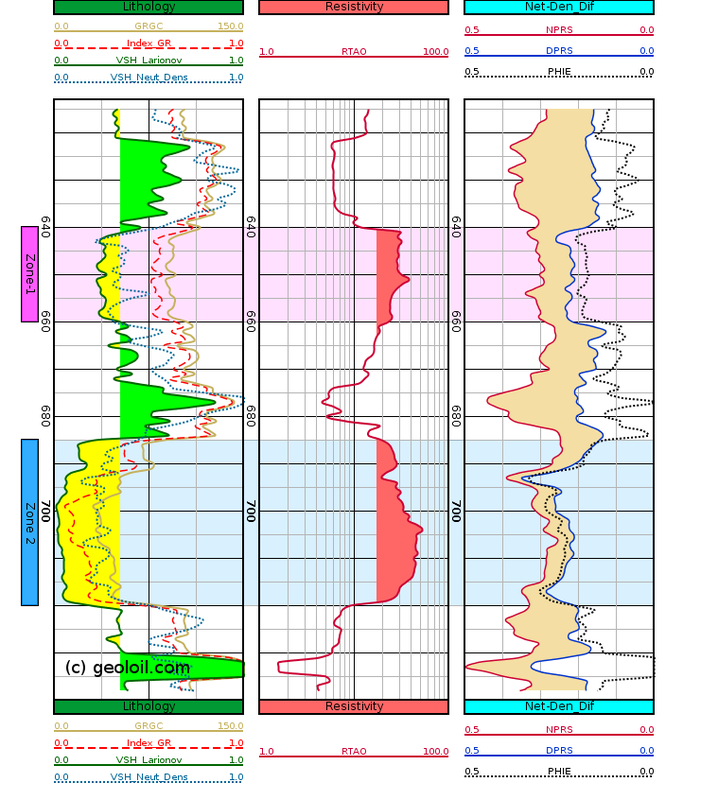 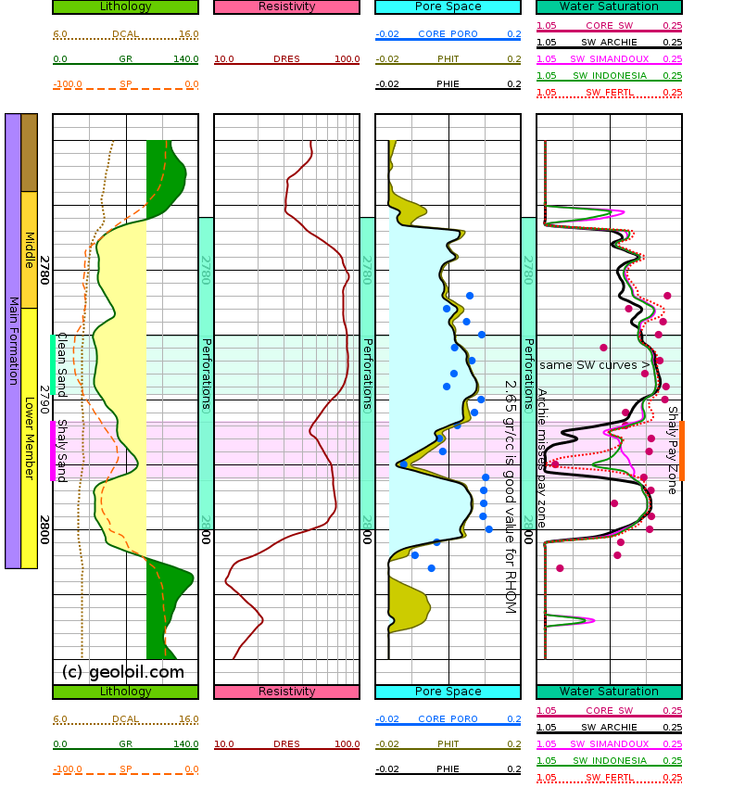 Represent detailed stratigraphic zones in several vertical bars: Formations, Members, Beds, Facies, Flow Units, and Layers. 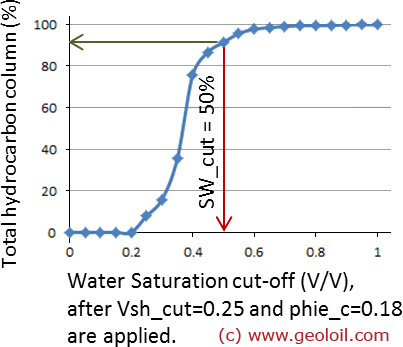 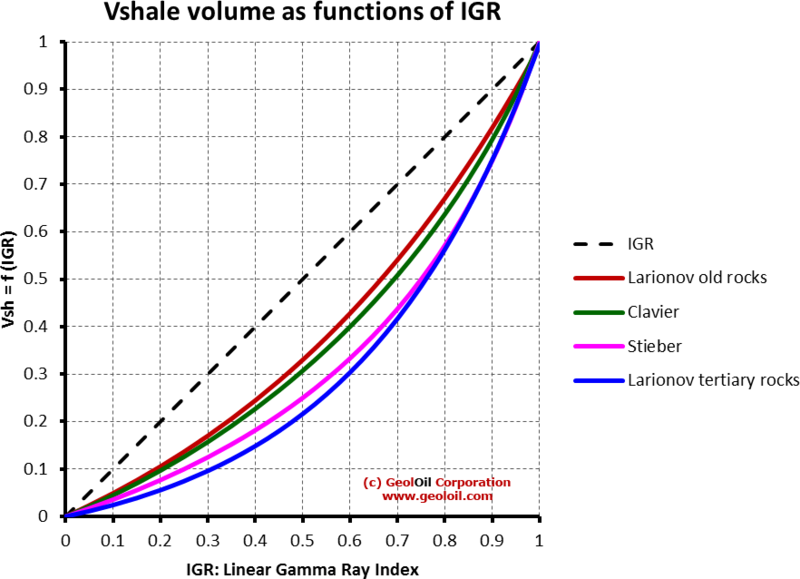 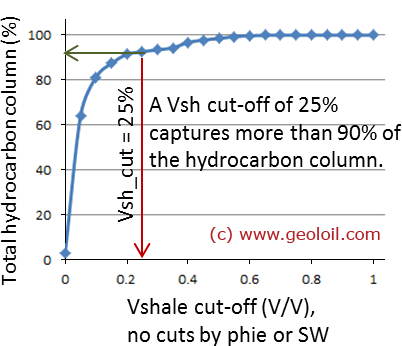 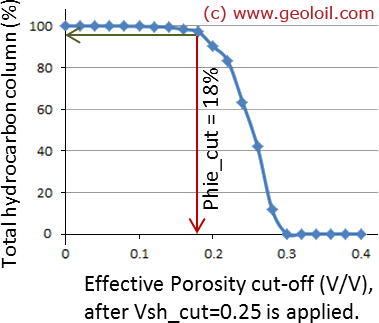 Mouse based inmediate measure zones MD and TVD thicknesses. 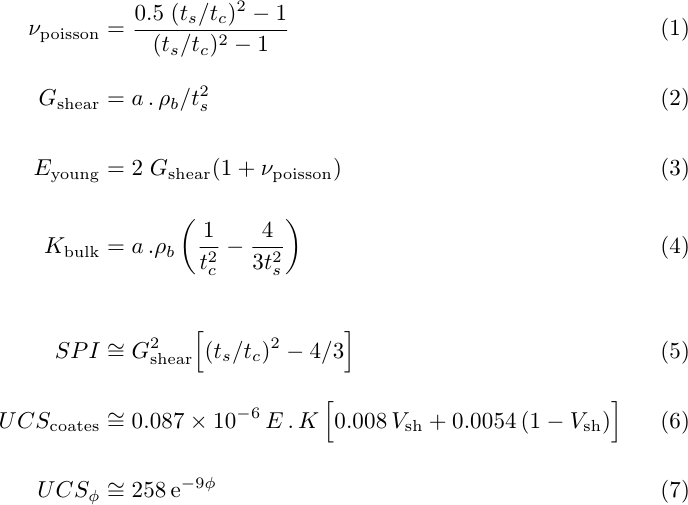 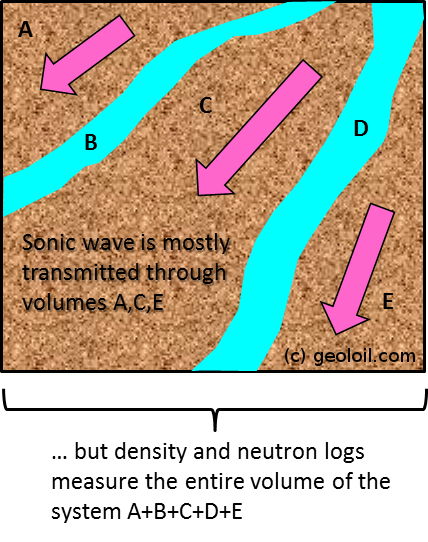 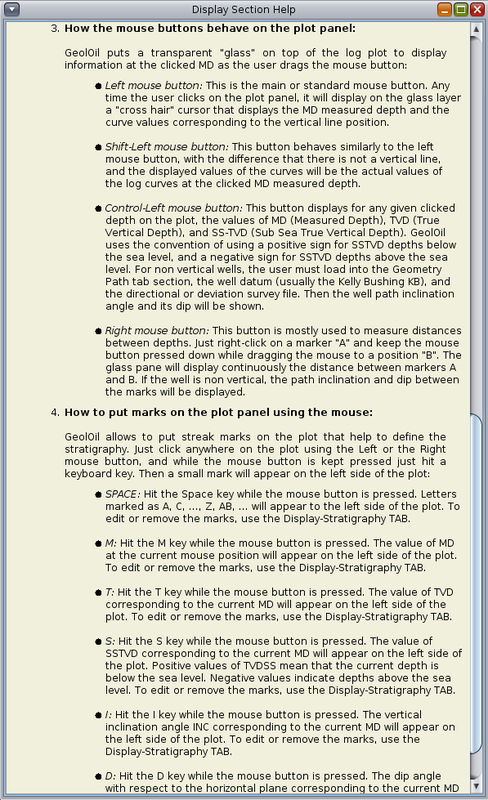 Mouse based inmediate reading of MD, TVD, and TVD-SS or TVD-AS for any depth. 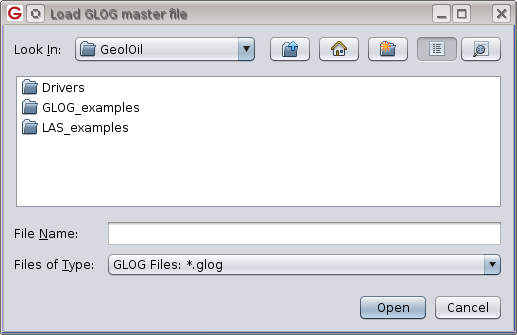 Create a PNG image for your log, or export it to Power-Point or the clipborad with a single click. 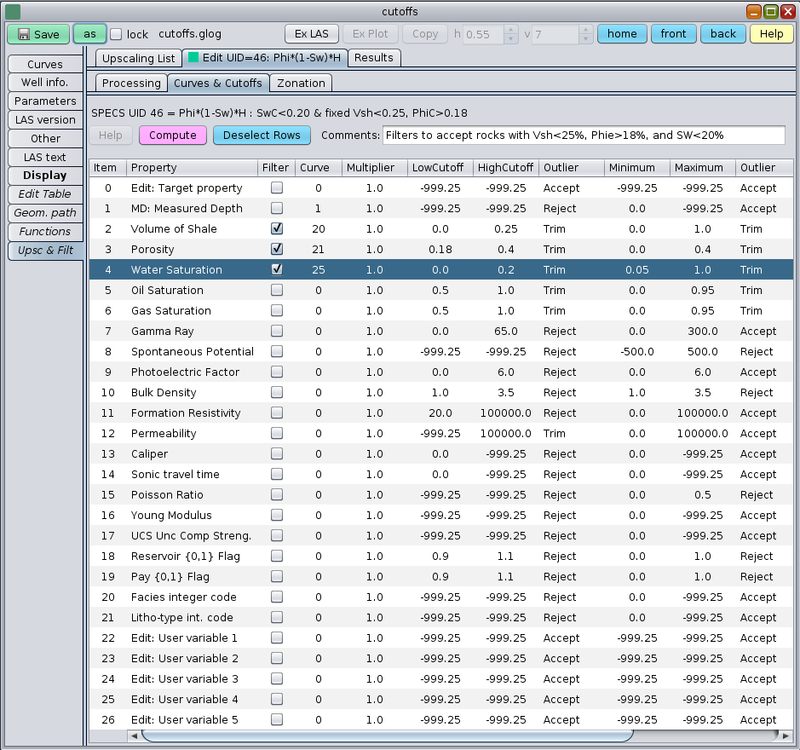 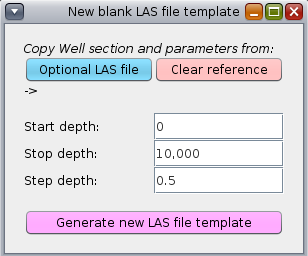 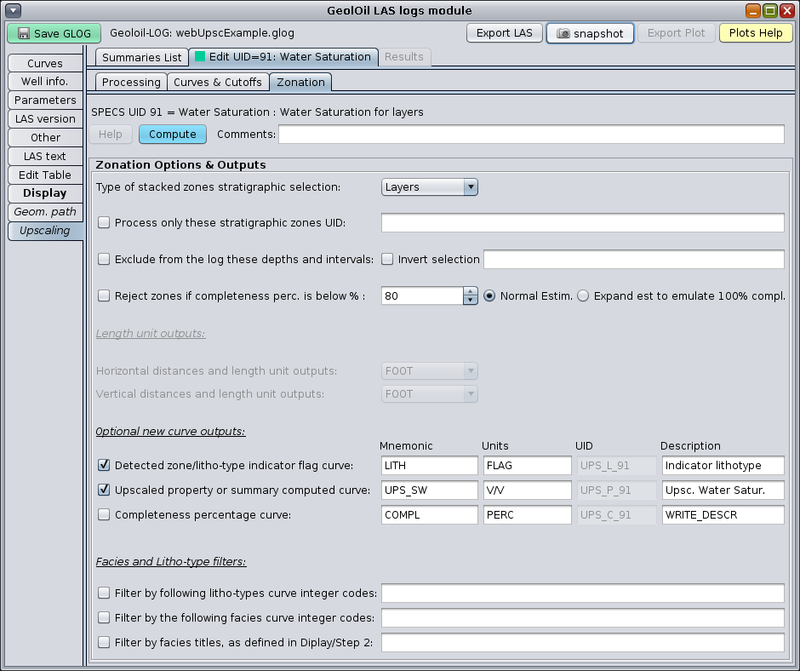 Access all the editing capabilities of the LAS well log file Editor module.